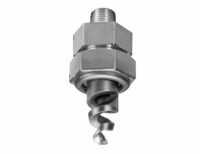 The spraying of a fluid to cool gas, solids or even other fluids is a common industrial application. Cooling is achieved by spraying a cooler liquid that absorbs and carries away heat. Heat energy is transferred to the coolant either by warming it in its still liquid state or by evaporating/boiling the liquid into a gaseous state (phase change). 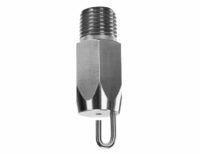 Spray nozzles are used cool a variety of processes in the Mining industry. 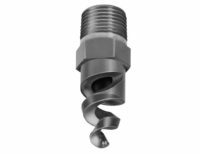 These spiral, pigtail or corkscrew nozzles give a relatively broad spectrum of spray drops. As discussed in the engineering considerations section this spray feature can allow the coolant to reach further. The heavier droplets in the spectrum have the effect of carrying the smaller droplets along. As such, large surface area sprays can be delivered to areas not reachable by a more uniformly fine spray. 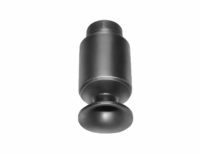 These nozzles produce a very fine mist by directing the spray to impinge upon a metal pin after exit from the orifice. This breaks up the spray into fine homogeneous fog. 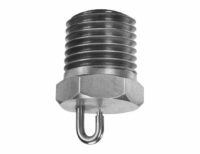 For cooling applications these nozzles are often used for evaporative cooling systems. 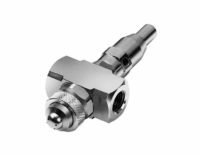 For smaller systems the low flow rate (PJ) variant may be suitable.